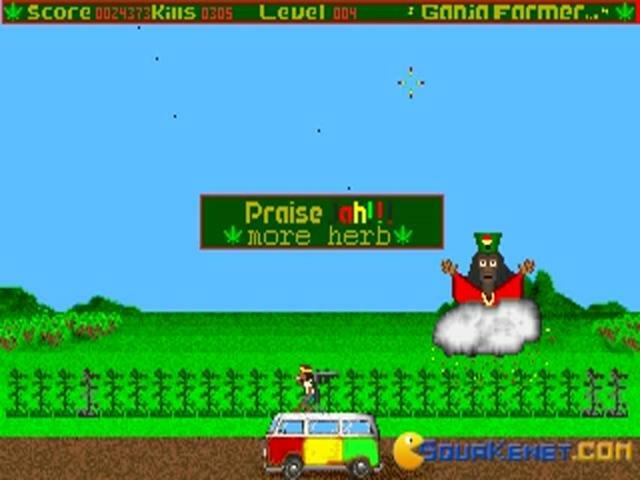 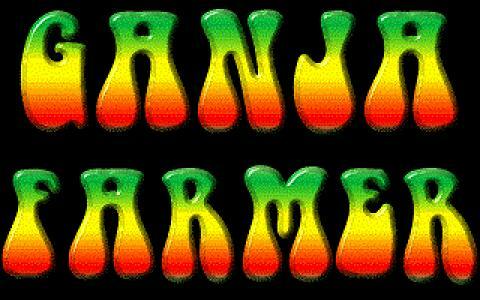 Ganja Farmer, the over the top drug game that will give any stoner a cheap laugh. 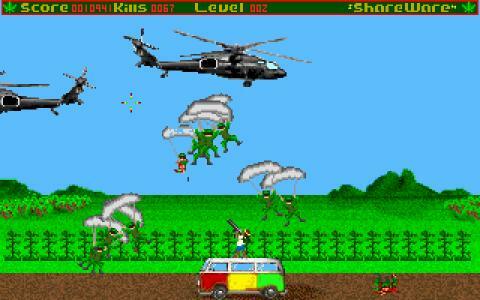 This game is like what would happen if Drug Wars was turned into an action game. 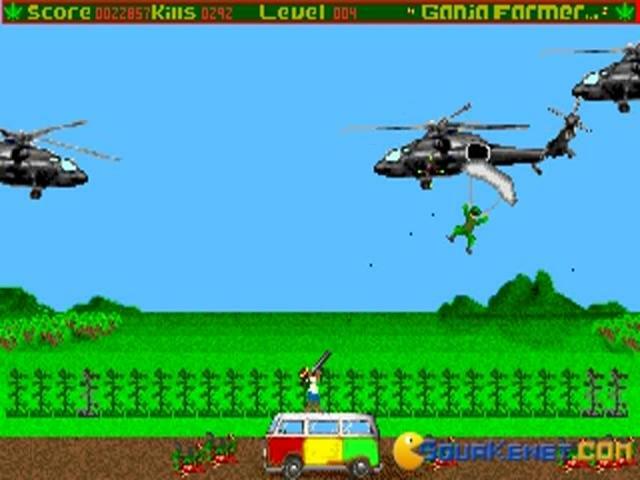 The game is centred around a rastafarian theme and your name is John Parker, a "rastafarian soldier". 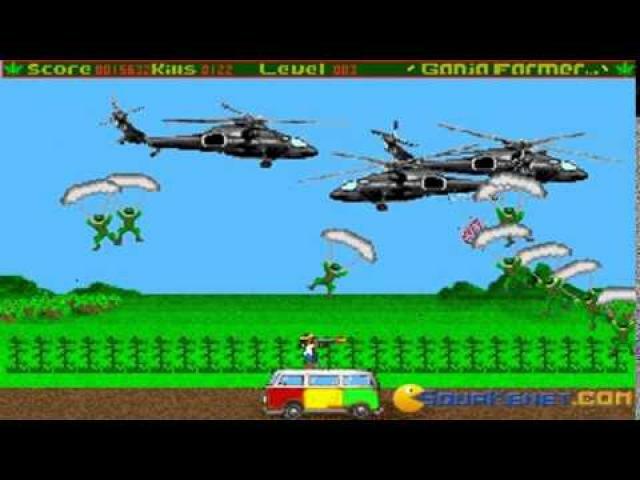 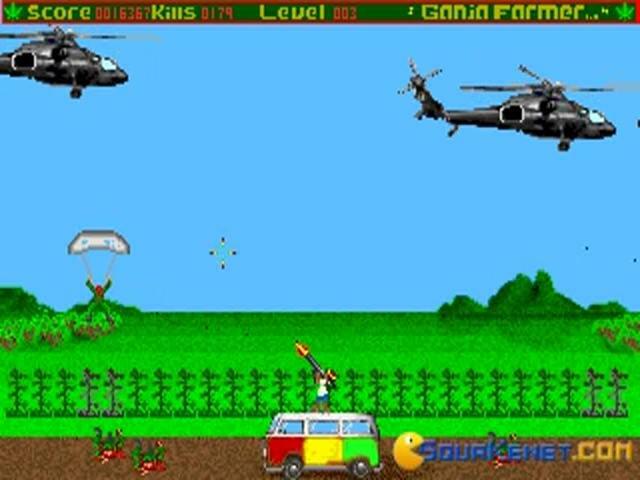 This is a game about a farmer taking a stand against the authorities, you mount 20mm AA machine gun on top of your VW Kombi and start shooting down planes, tanks and soldiers! 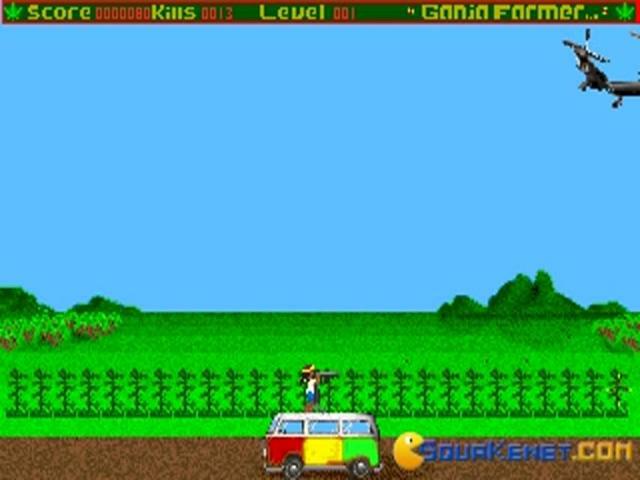 It is like a really primitive Grand Theft Auto game. 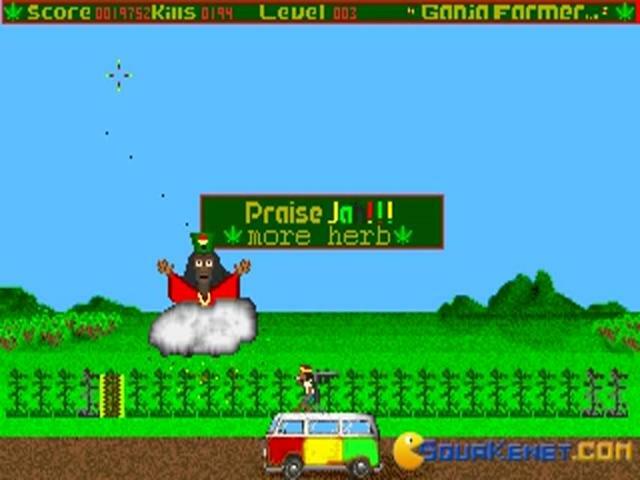 You collect power ups and bonuses from the rastafarian god Jah. 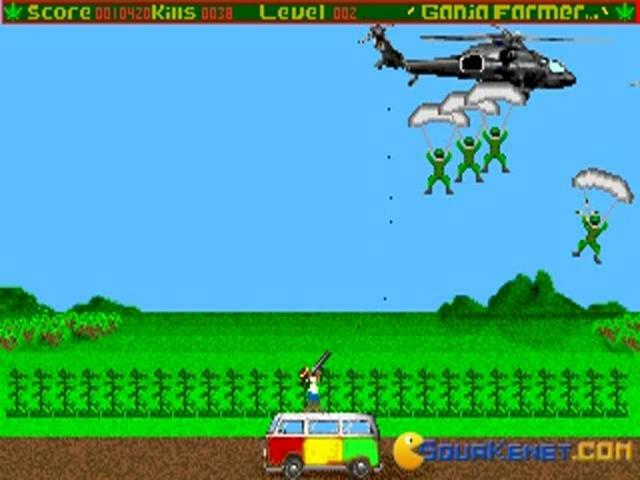 You use your mouse to aim to shoot the enemies as they fall from the sky. 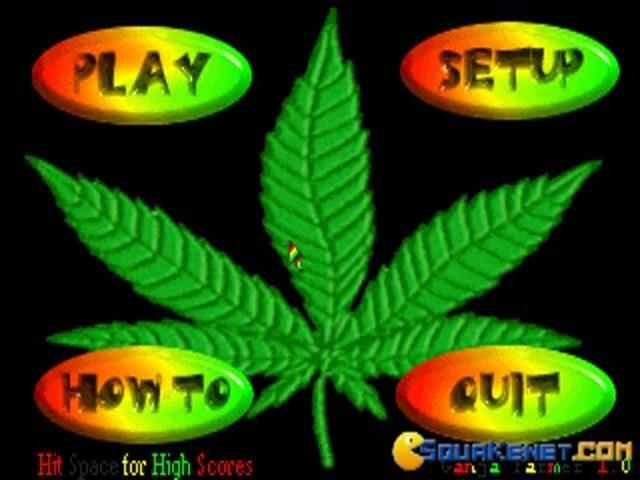 If they get your herb or kill you, it is Game Over! 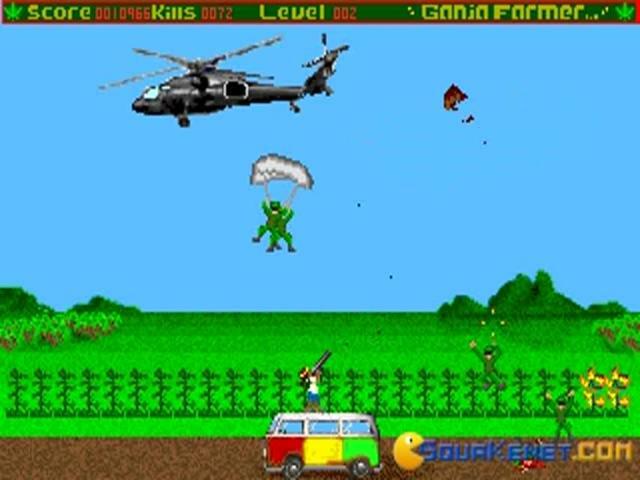 Talk about a rampage against the cops, the game plays a little bit like the Nintendo Game & Watch game "Parachute" except you are killing the enemy soldiers rather than saving them. 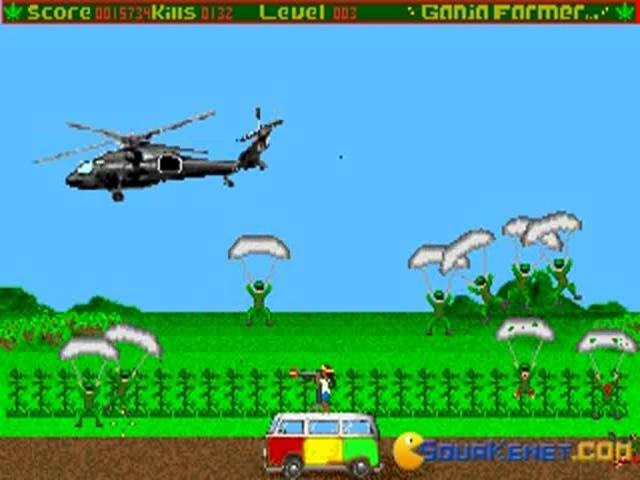 There is no hiding the fact that this game is about drugs, more specifically marijuana, if seeing weed leaves all over the screen and killing cops because they are coming to steal your marijuana crop is the sort of thing that offends you, stay away from this game. 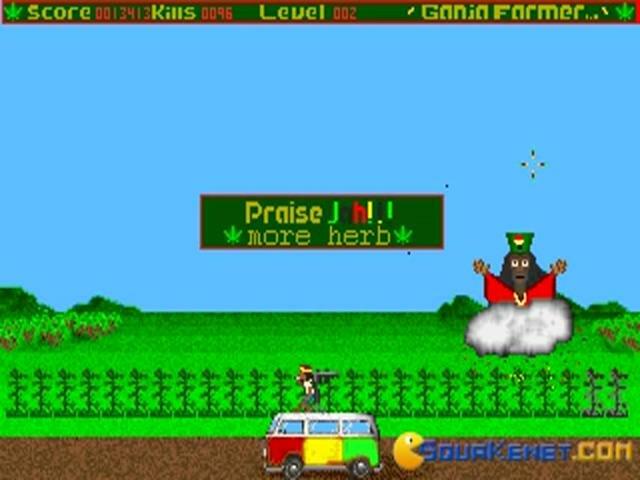 If you enjoy having a toke once in a while and want a quick 5 minutes to play a game where you are sticking it to the man, because they are trying to take your weed, well enjoy Ganja Farmer.